Trying to express the joys, anxieties and sheer wonder that come with parenthood in a 3-minute pop song is an exercise in futility; you have to be a nutter to try it. 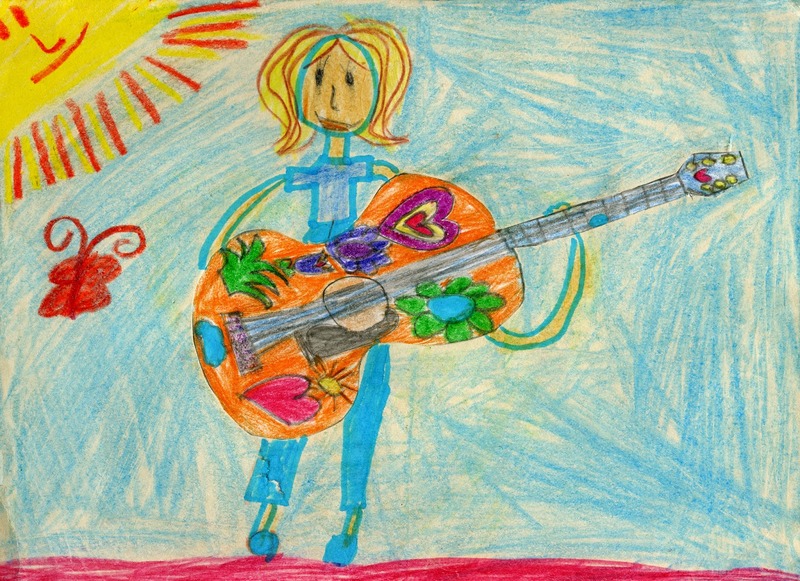 So it was that I sat down with my guitar, looking for inspiration in some of the old crayon drawings gifted to me by my daughter during her childhood years, and attempted to capture in song, but a snippet of the awe she inspires in me. 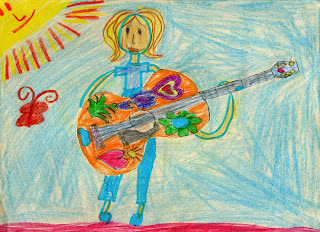 Since Emma's pictures usually came adorned with gaily coloured hearts, flowers and butterflies, it's a no-brainer that the lyrics would be heavy on garden metaphors, so no apologies for the song title of Butterflies, giddy references to raindrops on petals, teardrops on cheeks, little children shooting up tall, and summery flowers reaching skyward. Sappy? Yep. All part and parcel, I'm afraid. Well, kids are our little flowers aren't they? We try to nurture them as best we can, we watch them grow, take delight in their blooming, and spend an inordinate amount of time simply being dazzled by their beauty. So here I am, several growing seasons on, and my little girl is blossoming into a lovely and talented young woman right in front of my eyes. I'm terribly proud of her of course, but as she eases into adulthood, I know that along with the attendant sense of joy and wonder, I'll also be dealing with a whole new set of worries and anxieties. There'll be car insurance deductibles to contemplate, college reconnaissance spying missions to initiate and dodgy prospective boyfriends to interrogate. Butterflies? I still have them.